For United's first game in the knock-out stages of the competition, manager Jim McLean made only one change to the starting line-up from the weekend's opening League match against Aberdeen. The experienced Iain Phillip replaced youngster Derek Murray, with Murray replacing Richard Gough on the bench. 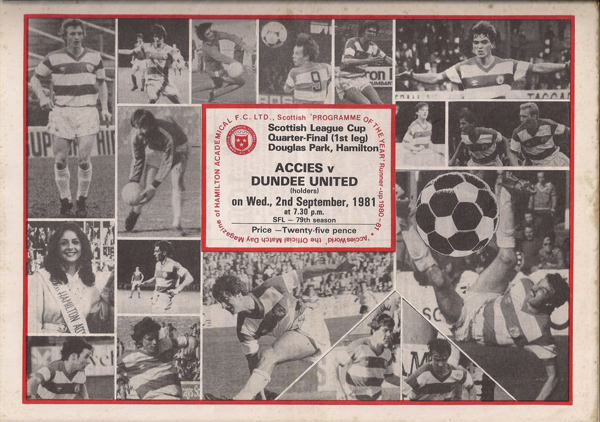 Davie Dodds set the ball rolling against the First Division side in the 1st leg at Tannadice, out-jumping the Hamilton defence to head in an Eamonn Bannon corner after only 10 minutes. 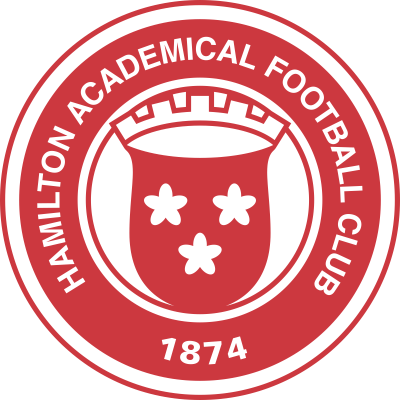 Hamilton were gifted a glorious chance to level when Derek Stark made a mess of a pass back but Joe Craig shot wildly past with only Hamish McAlpine to beat. United made them pay for that miss, when a Davie Dodds diving header crashed in off the underside of the crossbar. United went further ahead with two goals inside the first two minutes of the second half. After good work by Paul Sturrock, John Holt shot home from 20 yards out, and moments later Sturrock was pulled down in the box by Marshall. Eamonn Bannon hammered home the spot kick to put United in full control. Hamilton tried their best to pull one back before the end, with full-back John Brown coming close with a long range effort. 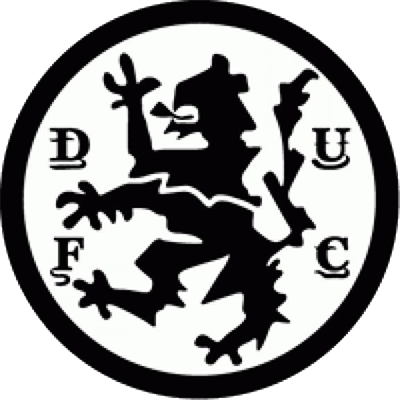 With the 2nd leg at Douglas Park not to come for another three weeks, the 4-0 win meant United could concentrate on League business, and the upcoming UEFA Cup tie against Monaco.